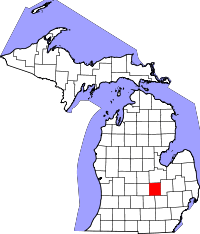 Shiawassee County (pop. 70,648) is west of Genesee County. Its name came from the Shiawassee River, which was derived from a Native American word meaning “river that twists about.” The river flows northward into the Saginaw River and Saginaw Bay. The center of Michigan’s population is in Shiawassee County. This is explained by the fact that so many Michiganders live in the Detroit area, southeast of Shiawassee. 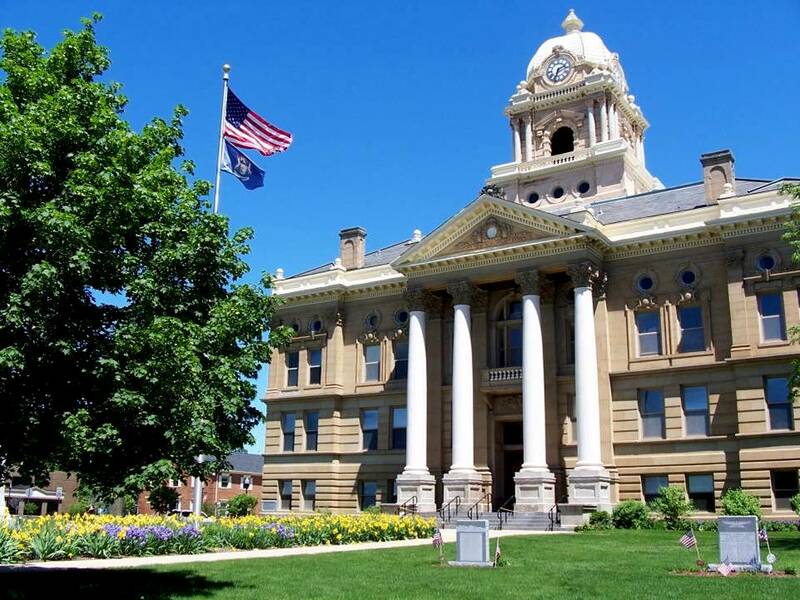 The county seat of Shiawassee County is the city of Corunna (pop. 3,497). The largest city in the county is Owosso (pop. 15,194). The Owosso Speedway is west of town. The Curwood Castle in Owosso was built in 1923 by author James Oliver Curwood. Thomas E. Dewey (1902-1971), governor of New York and Republican nominee for president in 1944, was born and raised in Owosso. 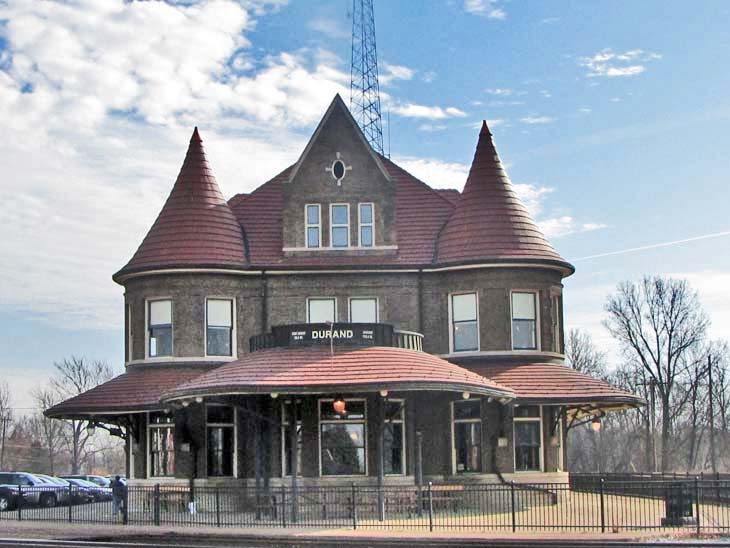 The Steam Railroading Institute is dedicated to the preservation, restoration, and operation of historical railroad equipment. It opened in Owosso in 1983. Southeast of Owosso, the city of Durand (pop. 3,446) has a historic Union Station that is used by Amtrak’s “Blue Water,” running between Port Huron and Chicago. This entry was posted in Michigan and tagged Corunna, Curwood Castle, Owosso, Shiawassee County, Steam Railroading Institute, Thomas E. Dewey.